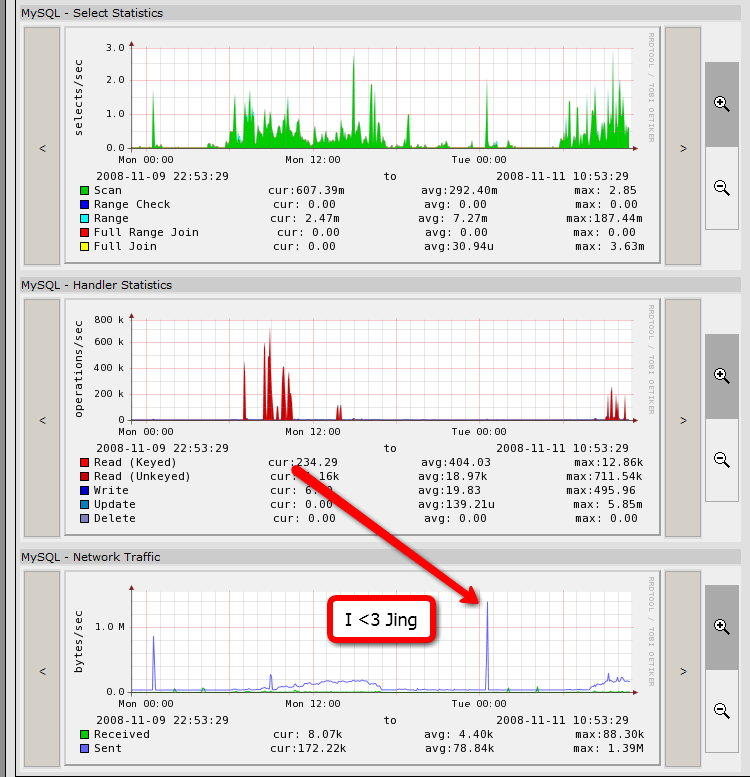 Zenoss – Open Source Network Monitoring, takes nagios and cacti to another level. Very customizable, but takes a while to become familiar with the system. The more I play with Zenoss, I constantly come across new features and advanced functions. Dekiwiki – Open source WIKI, with very good media integration and built-in support for Active Directory. I prefer it over MediaWIKI. Jing – Free desktop screen capture utility, also creates flash videos on the fly. Has its own file sharing service screencast.com for sharing your screenshots/videos. Great for making tutorials. This entry was posted in Computers, Random and tagged software on November 3, 2008 by jro.